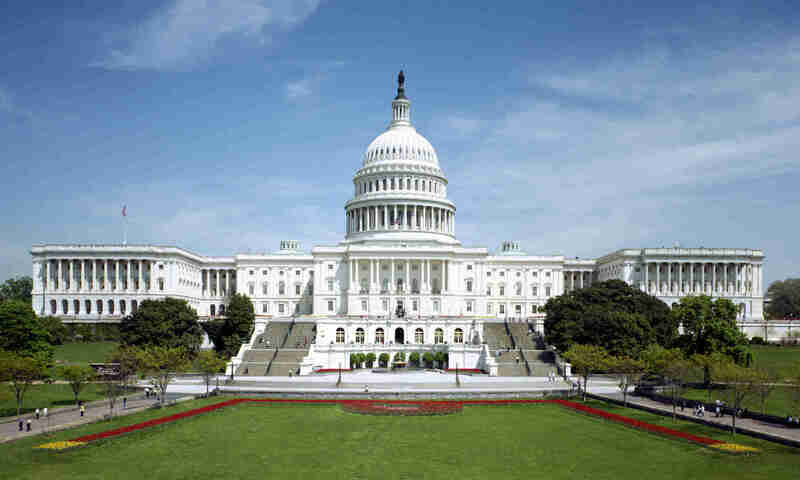 “Under the so-called Constitutional option, on the first legislative day of a new Congress, senators can ask for a ruling from the presiding chair to amend the Senate rules and then can ratify such changes with a simple majority vote. I suppose the rationale for this view would be that by adjourning without changing the rules, the Senate has adopted the old rules by implications. But even assuming that there are senators who believe this (and Senator Merkley, at least, has stated that the rules can be changed by a majority at any time), the Senate could either continue to extend the legislative day or adopt a resolution preserving the opportunity to argue that the rules can be amended by a majority (as happened in 1975, when filibuster reformers wanted to guard against the implication that they had waived their rights). The fact that these things are not being done indicates that a majority of the Senate is not in favor of invoking cloture by a simple majority vote. Could Arizona Replace Representative Giffords? The answer is yes. Or no, depending on which edition of the Washington Post you read. On Monday, the Post ran an online story entitled “Arizona statute could endanger Giffords’ hold on seat” (which appears to be no longer available on the Post website) explaining that an Arizona statute requires that an office be deemed vacant if the officeholder fails to discharge the duties of the office for three consecutive months. The article contends that this law could require that Representative Giffords’ seat be declared vacant, although it also indicates that the Arizona Governor and other officials would be loath to take such a step. So are these experts right? Up to a point. The original story was certainly mistaken to the extent that it implied Arizona had the authority to define what constitutes a vacancy in a congressional office. The issue of whether a vacancy has occurred is a constitutional question arising under the House Vacancies Clause (Article I, section 2, clause 4), which provides that “when vacancies happen in Representation from any State, the Executive Authority thereof shall issue Writs of Election to fill such Vacancies.” It is clear that neither the state nor the executive authority has carte blanche to define for themselves what constitutes a vacancy, and it is likely (though somewhat less clear) that they have no discretion in the matter. In other words, if a constitutional vacancy occurs, the Governor has the authority, indeed the duty, to call a special election, but the fact that the Governor (or the state) believes that a vacancy has occurred does not make it so. So how does the Governor know if a vacancy has occurred? The vast majority of vacancies have been created by death, expulsion, or resignation, and there is seldom any doubt in these types of cases (although there are sometimes ambiguous resignations which require the exercise of judgment). In the rare instances which do not fall into one of these categories, Governors have not acted on their own, but only after the House has declared a vacancy. Nevertheless, there would appear to be no constitutional impediment to the Governor acting on her own initiative (nor, to my knowledge, has House precedent prohibited such action). Accordingly, the Arizona Governor could call a special election on the grounds that (in her opinion) Giffords’ seat has become vacant within the meaning of the House Vacancies Clause. This decision could be challenged in state or federal court (just as the attempt to recall Senator Menendez was recently challenged in and invalidated by the New Jersey Supreme Court). It is possible that the court would not reach the merits of the case, however, on the grounds that it is the House which is the constitutional judge of the election and qualifications of its members. In the event that a special election were held, it would be up to the House to decide whether to seat the victor, which would necessarily entail a determination as to whether the seat was vacant in the first place. On the merits, the answer is not so clear. The Constitution does not define what constitutes a vacancy. This makes it distinguishable from cases that are often cited regarding the qualifications of members, because the Constitution expressly identifies those qualifications. It might be argued that declaring a vacancy when a member is incapacitated is a backdoor way of establishing a new qualification for members, but this does not answer the real question– are there circumstances in which a member’s incapacity renders the office vacant? In general, neither the House nor Senate have taken cognizance of lengthy incapacities of Members. As explained by Norm Ornstein in 2002 testimony before the House Judiciary Subcommittee on the Constitution, “[m]any members have stayed in their elected positions for months or longer while comatose or clearly unable to perform their normal duties.” In one case, however, the House declared a vacancy when a congresswoman-elect was in a coma and unable to take the oath of office. Conceivably this precedent could be extended to members who have been sworn in but become incapacitated to the point that they cannot perform any of the duties of the office. Doing so, however, would give rise to difficult line-drawing problems (how does one decide whether a member is permanently or merely temporarily incapacitated?). In short, while the conventional wisdom holds that the Constitution does not permit a seat to be declared vacant because of the incapacitation of its occupant, it is more accurate to say that the matter is unsettled. That in turn gives rise, as Professor Sandy Levinson notes, to a significant uncertainty as to how the Congress would respond in the case of mass incapacitation. As I discussed here, (“Does BLAG believe that Members of Congress are Immune from Federal Wiretaps”), Sloan appears to be right about this. Irv Nathan, the former House Counsel, is cited (though not quoted) as responding that “prosecutors can use evidence collected through wiretaps or other means but must exclude anything related to legislative actions.” This makes it sounds as if wiretaps are permissible so long as prosecutors do not use portions of conversations that involve legislative matters. But the House’s position, as I understand it, is that wiretaps may not even intercept the privileged portions of conversations, and that prosecutors are prohibited from reviewing (or having reviewed) the transcripts from wiretaps to determine which portions may be privileged. This makes the House’s position very close to a de facto ban on wiretapping of Members (or their staffs). Incidentally, congratulations to Kerry Kircher, the long-time House Deputy General Counsel, whom Speaker Boehner has promoted to General Counsel. Why Is Tomorrow Different From All Other Days? What is Udall’s basis for saying that the rules can be changed on the first day? He doesn’t say. But his colleague, Senator Jeff Merkley, attempted to explain this in an MSNBC interview last night. Merkley says that “according to the Constitution, a majority can set up the Senate, they can do that at any time, but, according to precedent, it has been done at the start of a two year cycle.” He later reiterates that a majority can, under the Constitution, amend the rules “at any time,” but that “by precedent, by tradition, which weighs heavily in the Senate,” it is supposed to be done at the beginning of a new Congress. Unfortunately for Senator Merkley, there is no Senate precedent for amending the Senate rules by a simple majority at the beginning of a new Congress. None at all. Senate practice does not even support using the first day to consider amendments to the Senate rules. This CRS report explains that “the Senate follows a well-established routine on the opening day of a new Congress” and describes in detail the activities, such as swearing in new members, which the Senate performs. There is no mention of amending the Senate rules. It is true that there is precedent for claiming that the Senate rules can be changed by a simple majority on the first day of a new Congress. This claim is based on the theory, apparently originated by Senator Walsh in 1917, that the Senate’s rules expire at the end of a Congress and that it operates, at the beginning of a new Congress, under general parliamentary law. This claim is contrary to unbroken Senate practice as well as the explicit provisions of Senate Rule V (which provides that the Senate rules “continue from one Congress to the next Congress”). As discussed in my last post, accepting this claim would also have unsettling consequences for the legitimacy of the Senate itself. There is, therefore, no existing precedent supporting the Udall/Merkley theory. But suppose the Senators are successful in convincing the Senate to establish a new precedent? It would be utterly impossible to limit that precedent to the opening day of a new Congress. The only possible justification for ignoring the explicit provisions of the Senate rules would be that the Constitution itself prohibits entrenching Senate rules in the manner set forth in those rules. But, as Senator Merkley himself acknowledges, that position means that the Senate rules can be amended by a simple majority “at any time.” The first day of a Congress is no different in that regard than any other. As discussed in my last post, the effort to repeal the Senate filibuster rule is premised on the proposition that the Senate is not a continuing body. Professor Aaron Bruhl (see “Burying the ‘Continuing Body’ Theory of the Senate”) and others contend that the Senate, like the House, is a temporary body that “dies” at the end of each Congress. By longstanding tradition and precedent, the House’s rules, along with its officers and organization, expire when the Congress ends every two years (at noon on January 3, pursuant to the 20th Amendment). When the newly elected House convenes (this year on January 5), it will proceed to elect a new Speaker, adopt new rules and choose new officers. (Until it adopts new rules, it will act under general parliamentary law, not under the rules of the prior House). Despite this seemingly powerful constitutional history, Bruhl argues that the Senate is not a continuing body, and that its rules therefore do not continue from Congress to Congress. Specifically, he contends that the Senate is not continuous in any meaningful way that differs from the House, and that therefore the continuity rules for both should be the same. The potential implications of this position would seem to be enormous. It would mean that for the vast majority of its history the Senate has acted pursuant to rules that were not validly adopted. This would probably not affect ordinary legislation, but it could impact individuals who have been subjects of the Senate’s confirmation, contempt or impeachment powers. For example, the Senate just convicted and disqualified Judge Porteous in accordance with rules that (allegedly) expired long ago. Perhaps to avoid these implications, Bruhl suggests that perhaps the Senate’s rules are continuing in a “weak sense,” namely that they continue until the next Congress, when the Senate can choose to either change or readopt them. As he points out, the House for a time in the late 19th century adopted this version of continuity for its own rules. This suggestion, however, would not save the Senate’s rules. The Senate has not continued its rules from Congress to Congress because it voted to readopt them, as occurred in the case of the House. It believed that the rules remained in effect unless changed in accordance with specified procedures, regardless of whether a majority of the Senate wanted them to do so. One cannot construe this belief as an implicit approval of the rules as they have existed at any particular point in time. In addition, even this weak version of continuity would destroy the symmetry between the House and the Senate because the former has rejected the notion that its rules can continue even until the new Congress can explicitly vote to re-adopt or change them. Instead, the House believes, apparently as a matter of constitutional theory, that it is required to operate under general parliamentary law rather than the old rules. Thus, acknowledging even the “weak continuity” of the Senate’s rules would seem inconsistent with Bruhl’s theory. At the end of the day, Bruhl makes clear that his real objection is to the “entrenchment” of Senate rules (ie, the requirement that a supermajority act in order to change them), rather than to the continuity of those rules. But entrenchment is an entirely separate issue from continuity. Bruhl himself recognizes this– noting that the objection to entrenchment is the same regardless of whether the Senate is a continuing body. This makes the attack on the Senate’s continuity particularly perplexing. It is true, of course, that those who have wished to challenge the Senate’s rules, beginning with Senator Thomas Walsh in the early 20th century, have seized upon the non-continuity theory as a means of achieving their goals. The fact that it is the best argument the reformers could think of, however, does not make it a good argument, and does not obscure its utter inconsistency with the Senate’s unbroken history and precedents.